With CCNA Security certification, a network professional can demonstrate the skills required to develop security infrastructure, recognize threats and vulnerabilities to networks, and mitigate security threats. 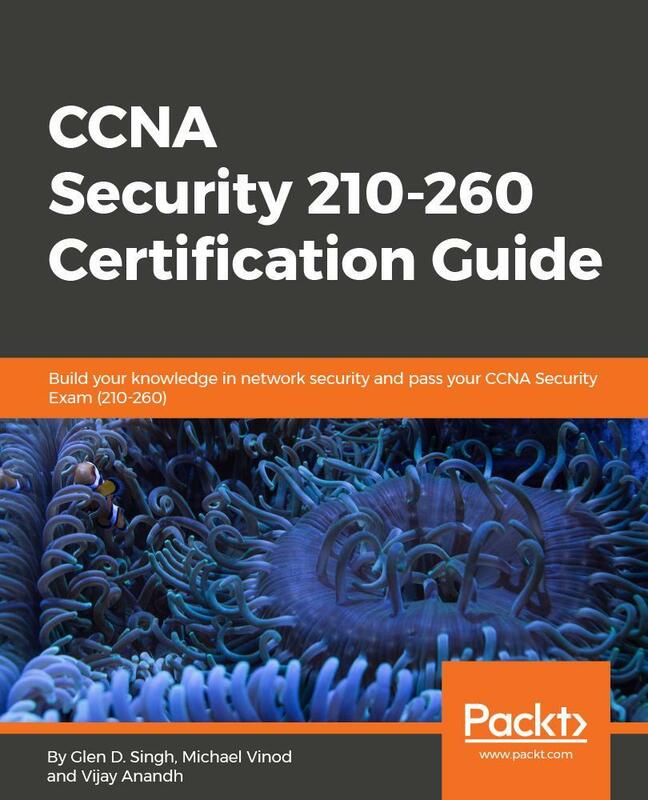 The CCNA Security 210-260 Certification Guide will help you grasp the fundamentals of network security and prepare you for the Cisco CCNA Security Certification exam. You’ll begin by getting a grip on the fundamentals of network security and exploring the different tools available. Then, you’ll see how to securely manage your network devices by implementing the AAA framework and configuring different management plane protocols. Next, you’ll learn about security on the data link layer by implementing various security toolkits. You’ll be introduced to various firewall technologies and will understand how to configure a zone-based firewall on a Cisco IOS device. You’ll configure a site-to-site VPN on a Cisco device and get familiar with different types of VPNs and configurations. Finally, you’ll delve into the concepts of IPS and endpoint security to secure your organization’s network infrastructure. 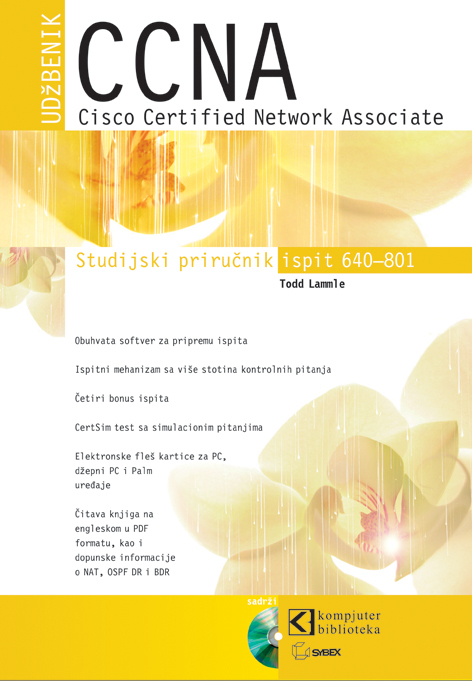 By the end of this book, you’ll be ready to take the CCNA Security Exam (210-260). Glen D. Singh is a Cyber Security Instructor and consultant for various institutions within the Republic of Trinidad and Tobago. He conducts multiple training exercises in offensive security, digital forensics, and network security annually. He also holds various information security certifications such as the EC-Council’s Certified Ethical Hacker (CEH), Computer Hacking Forensic Investigator (CHFI), Cisco’s CCNA Security, CCNA Routing and Switching, and many others in the field of network security. Michael Vinod is a freelance IT trainer and consultant specializing in Cisco Routing, Switching, and Security technologies. Michael has good expertise in the field of Networking with close to three years’ field experience and seven years’ experience as a Cisco Training Consultant. He has a passion for training individuals on Cisco technologies and has received accolades from various clients. Vijay Anandh is an IT consultant and public speaker specializing in Cisco Routing and Switching, security, and F5 load balancer technologies. Vijay has nine years of combined experience as a training consultant and network architect. 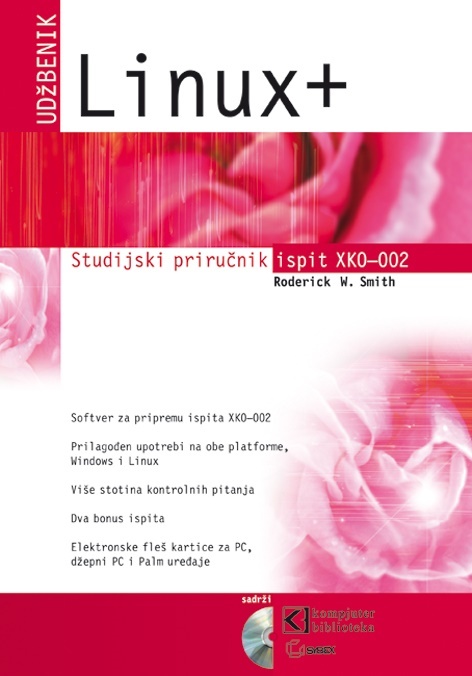 Udžbenik za pripremu CompTIA Linux+ ispita, XK0-002. Pripremljen je tako da odgovara kandidatima koji polažu ovaj ispit. Pored pristupačnog načina izlaganja, ova knjiga pruža jasne i koncizne informacije.